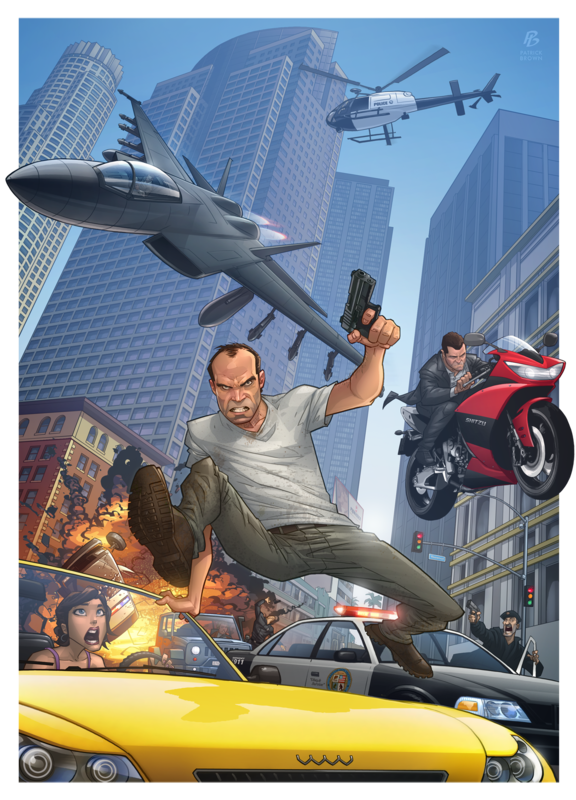 Patrick Brown, famous for his Video Game Character art, released his first official GTA V art piece. Patrick Brown is well known by Grand Theft Auto fans for his art featuring GTA characters, which you can see in his official gallery here. 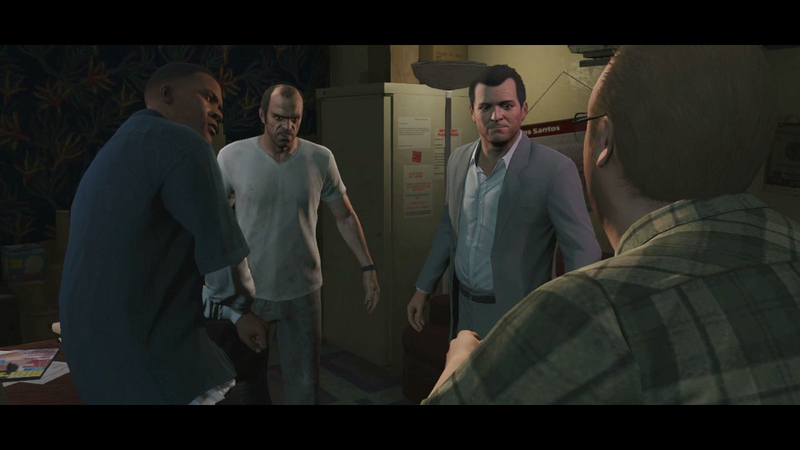 As always, join the forums to discuss all things GTA V! is that Franklin in the jet? ?